The Office of Career Engagement and Experiential Learning is open to all current students, alumni, faculty, and staff. We like to start with the end in mind – and our GOAL is to assist those that visit our office in realizing the potential for every opportunity by making a positive difference. There are resources for every classification – from Freshmen to Seniors, Graduate Students, and Alumni. Be proactive with taking opportunities to improve and position yourselves within the right major that is suitable for your interest! With the right guidance and directions, we want to prepare you to be successful with self-development and self-actualization, which are beneficial at this time in your educational studies. Students and alumni are represented well across the employment scopes of the arts, business, education, entrepreneurs, government, health professions, higher education, the sciences, non-profits, the public sector and sports. Students also utilize our College Central Network to gain access to our career and internship databank. Whether you are a current student or alumni, our office can assist with interview preparation, resume and cover letter development, professional attire, and mock interviews. Employers will also have access to create personal profiles to post full-time, part-time and internship opportunities! 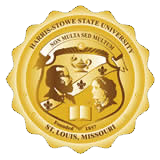 I look forward to working with scholars and employers to build strong partnerships at Harris-Stowe State University!